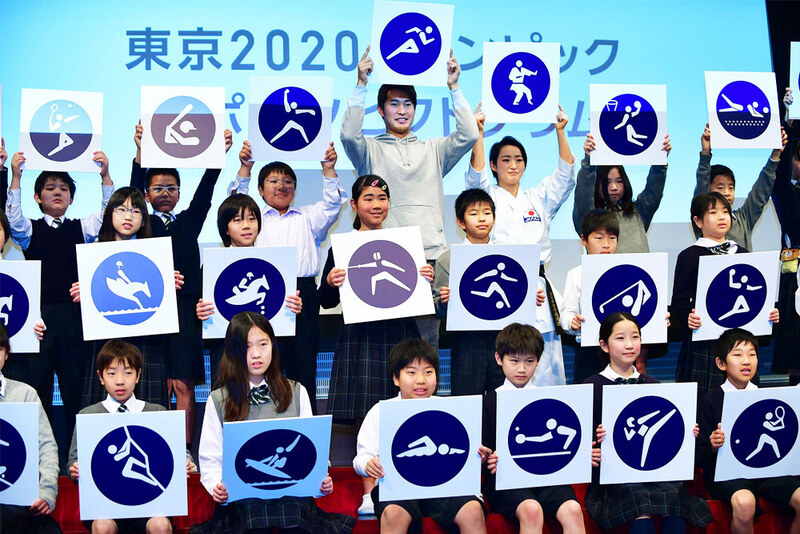 The Tokyo organising committee of the Tokyo 2020 Olympic Games has unveiled the official pictograms, and the surfing pictogram is getting some serious air on a single fin retro board. Pictograms were first introduced at the 1964 Tokyo Olympics and are used for a variety of purposes including signs at competition venues, on licensed products, posters and tickets, and guidebooks. They were created by designer Masaaki Hiromura from Hiromura Design. 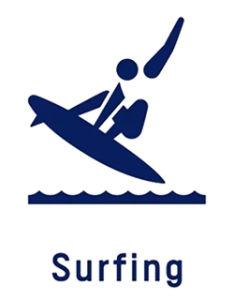 I’m loving the surfing pictogram. It is extraordinary in the fact that the surfer is getting some serious air time on a single fin board. Also to get that much air from what can only be described as half a foot waves is pretty impressive. Deep down I’d like to think this is an accurate portrayal of Kelly Slater surfing Cocoa Beach, Florida on any given morning. All jokes aside though… who knows, maybe if surfing takes off during the 2020 Olympic Games we’ll see more divisions in the competitions including the return of a single fin event to competitive surfing!